The regulator has caught 12 bodybuilders and trainers who smuggled muscle-enlarging anabolic steroids and sold them with a drug wholesaler license. The Ministry of Food and Drug Safety said it booked the 12 offenders including a former bodybuilder surnamed Kim for illegally selling prescription drugs and smuggling anabolic steroids. 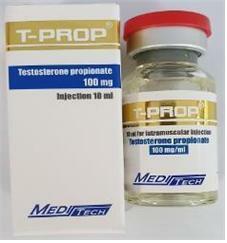 Anabolic steroid is one of the male steroids (testosterone) extracted from a bull's testicles. The substance promotes intracellular protein synthesis, prompting the growth of cell tissues and muscles. However, it can also cause various side effects such as infertility, sexual dysfunction, gynecomastia, and hair loss. When the ministry raided the offenders’ homes, it found 1 billion won ($882,000) worth of prescription drugs and steroids. The authorities confiscated over 20,000 products categorized in about 90 kinds of medicines. The bodybuilders intentionally obtained a drug wholesaler license to get the supply of prescription drugs and illicitly sold them. They sold the prescription drugs with steroids smuggled from Thailand to bodybuilders, personal trainers at gyms, and gym members through mobile messengers and social networking sites. The illegal sales for three years amounted to several billions of won. To avoid the crackdown, the offenders used cryptocurrency and cash only for transactions and frequently changed the sender’s addresses for delivery. The ministry is also investigating a personal trainer surnamed Lee, also known as “anabolic designer” among bodybuilders, who set a customized schedule for steroid injections for bodybuilders and personal trainers seeking to grow muscles in a short amount of time.